I have just been informed that one of you unilaterally announced the ‘split’ of the crisis-prone P-Square. That’s an act of self-determination. It is treasonable and worthy of classification as terrorism. I recall that your late mother paid me a visit at my Daura home a couple of years ago. We shared dinner and discussed late into the night. 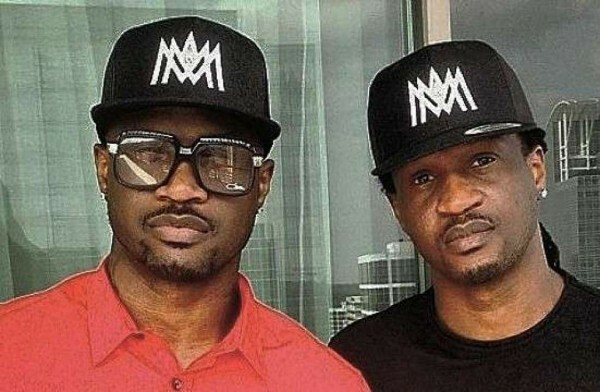 And we agreed that the unity of P-Square would forever remain non-negotiable. My aides told me that you 'separated' sometime last year, tasted uneventful solo musical careers, reconciled, and went back to making great music. I missed the story. Nigerian newspapers conspired to leave me in the dark by not doing cartoon impressions of the development. But you can’t try that secessionist stunt on my wide-awake watch. You were made a group by fetal amalgamation. You were created twins. Your unity is a settled matter. I am aware that your relationship has been dogged by rancor, discord and spite for a long while. You barely manage to function as one singing unit. Yet, you must endure the attrition and accept that you have been trapped by fate. You must continue to collaborate and conjure love songs from your shared bitterness. None of you can go his separate way. You must stay together even though your group can hardly agree on anything except that you both mutually resent each other and can’t address the root cause of the contention. I am told both of you are talented dancers. You must quickly return to the normal of hostile partnership. You don’t want my troops to teach you a lesson in Python Dance. By: Emmanuel Ugwu for SaharaReporters. Emmanuel at immaugwu@gmail.com / Twitter: @EmmaUgwuTheMan.